A successful bond sale in Spain pushed borrowing costs down somewhat, improving confidence in the Eurozone's finances. Additionally, the EUR/USD pair's 20 point rise to $1.3051 was supported by the news that German officials have approved the financial bailout for Cyprus, easing the pressure on the Mediterranean nation. The economic data coming out of Europe yesterday was pretty dismal, with auto sales reaching a 20 year low. At the same time, Eurozone construction output slumped for the fourth month after a drop in Germany, raising the question of whether the area will realistically emerge from recession any time soon. Consequently, the euro dropped versus the dollar, effectively giving back the previous day's gains by losing 146 points to $1.3030. The currency CFD trading markets saw a risk-on session yesterday as positive news from the US pushed investors out of the dollar and into higher yielding currencies. In particular, the euro benefited from soaring demand which more than offset the previous day's losses, encouraging a rise of 137 points to $1.3174. Amid indications that Slovenia is on its way to becoming the sixth Eurozone member to ask for a bailout, the EUR/USD pair lost 76 points. However, the move was more about the relative strength of the US dollar versus the euro as financial spread trading investors rushed into the perceived safe haven currency. This was triggered by concerns about the engine of global growth following the weaker-than-expected Chinese GDP figures. Despite the lingering Eurozone recession fuelling speculation about further quantitative easing, it appears that Europe remains committed to debt reduction accompanied by structural reforms. That signal put FX spread trading investors on standby, with the shared currency rising just 3 points against the dollar to $1.3102. Perhaps this week's G20 meeting in Washington will cast more light on the issue. Despite the Slovenian banking crisis, the euro-dollar spread trading market rose 30 points to close at $1.3101. Slovenia is a potential candidate for the next European bailout, with the fourth smallest economy in the common area worth around €35 billion. Unfortunately, the nation has a number of bad loans on the books of its state owned banks. For now though, the currency markets look to be at ease with the shared currency and it's difficult to say whether this is because of size of the nation's GDP or the fact that we've seen it all before. A successful sale of Italian Treasury bills and slightly better-than-expected figures for French industrial production had little effect on the shared currency. 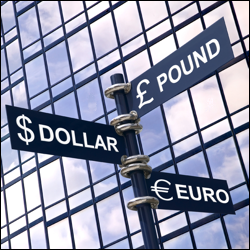 In fact, after rising to a level last seen in early March, the euro dropped 13 points against the dollar to $1.3069. The prospects of another bailout candidate, Slovenia, kept investors in a cautious mood. Whilst Slovenia is only a small economy, so was Cyprus and they required some seriously tough decisions by Brussels. The shared currency had a quiet session yesterday, with the EUR/USD spread trading market rising just 16 points to $1.3007. This came amid reports that Portugal is looking to adopt more spending cuts after already being bailed out by Brussels. In addition, whilst the Cypriot tensions appear to have eased for now, currency investors seem to be awaiting further developments before committing themselves. With the US economy failing to create as many jobs as predicted, forex investors were quick to speculate that the Fed will keep printing. As a result, despite a decline in Eurozone retail sales, the dollar tumbled against the euro on estimates of renewed devaluation, with the EUR/USD pair closing 31 points higher at $1.3039.